We have been following south London artist JGrrey since we were blown away by her sublime vocals and future soul sound of her Don’t Fade COLORS Berlin session back in 2017. The session, which now has over 2m YouTube views, helped propel her into the spotlight and land a global campaign with Adidas, as well as a writing session with Lily Allen. Since then she has dropped the mesmerising singles Growing, All for You, Pretty Insane and this gorgeous track. Taken from her debut EP Grreydaze out last Friday, Notice is a slick and dreamy gem that finds JGrrey musing over toxic relationships and vying for the attention of bad partners. It featured on Spotify UK’s New Music Friday and Apple Music’s Best of the Week playlists while the EP garnered tastemaker praise from GRM Daily, Clash, Complex, RWD Mag and the Line of Best Fit to name just a few. Last night (20 March) she played her debut headline show at the Hackney Creative Social Club, after selling out the show in two weeks and is a testament to her raw talent and loyal fanbase that includes the likes of Annie Mac, Jorja Smith, Julie Adenuga, DJ Target, Jamz Supernova and Peter Rosenberg, who have all supported her. 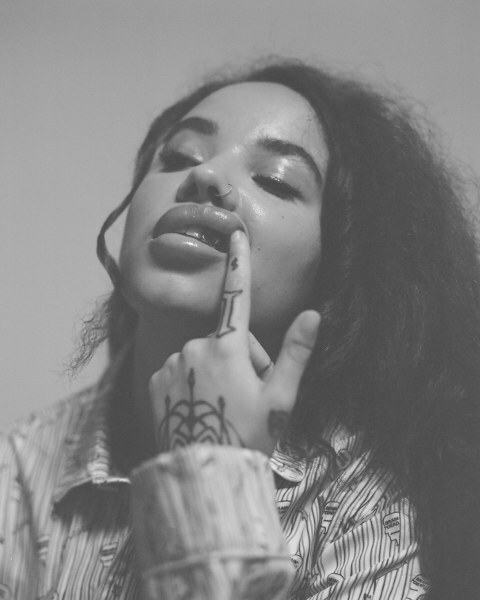 With her captivating vocals and honest lyricism, JGrrey is fast becoming the number one talked about emerging artists of 2019.